place one foot on the flat part of the bootjack (where the 6 anti-skid discs are). repeat the operation with the other foot. 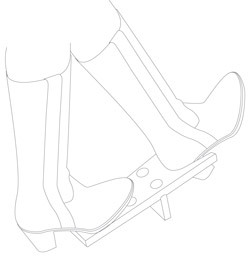 There are few models of bootjacks, and the two most common are made by Redecker. 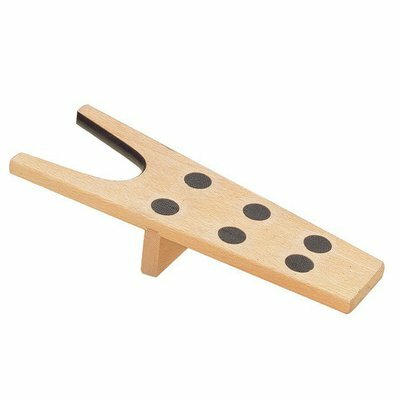 Having tested both, we strongly recommend this one because it adapts to all shoe and boot sizes (even our children's) and the rubber strip in the curved part enables you to properly wedge the heel of the boot to be removed.